Living with low vision can make the most basic of everyday activities, such as reading, writing and cooking, a challenge. People who suffer from this condition may find it hard to recognize faces, colours and objects. This kind of vision cannot always be remedied with regular glasses, surgery or medicine. Low vision is a condition that can be treated. Patients have to learn to get the most out of their remaining eyesight so they can stay independent and enjoy the best quality life possible. Low Vision is eyesight that is 20/80 or lower. People who have poor eyesight may not be able to benefit from the use of eyeglasses or contact lenses. Low vision is a loss of vision enough to make everyday tasks, even with the best eyewear prescription and once all treatment for the eye condition has been undertaken. A person with low vision may find it difficult or impossible to accomplish activities such as reading, writing, shopping, watching television, driving a car or recognizing faces. 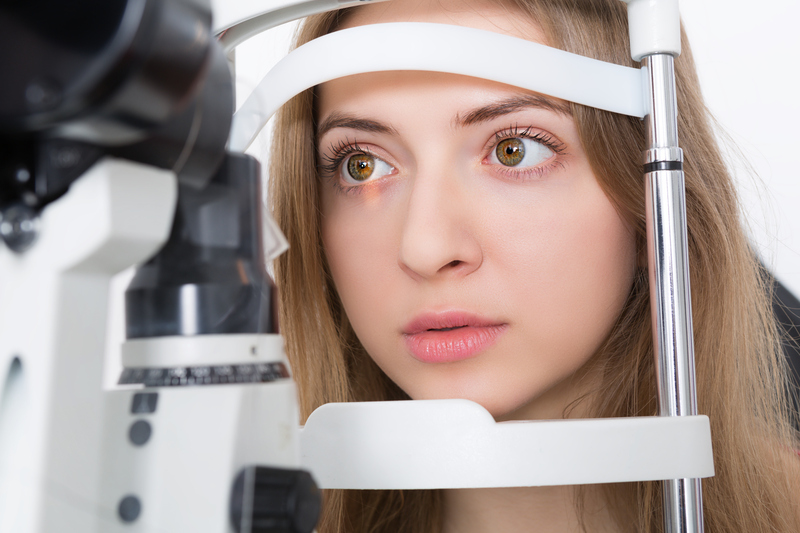 Since there are many diseases and conditions that can result in low vision, it is important to have a comprehensive eye examination with a Kniaziew Optometry associate. One of our associates will recommend any treatment for the eye disorder that is available, but even with the optimum treatment, there is sometimes a remaining vision loss, resulting in low vision. If this is the case, Kniaziew Optometry doctors may refer you to other low vision and rehabilitation specialists or suggest low vision aids, such as magnifying devices, or special, strong reading glasses. There are also many other helpful devices that are not optical devices, including large print books, magazines, newspapers, playing card and telephone dials – to name a few. Increased lighting that is properly positioned is essential. Tinted lenses are sometimes used to reduce glare from bright sunlight. Electronic aids such as closed-circuit television systems with built-in magnification and computerized reading devices are also useful in many circumstances. There are also accessibility options on computers, tablets and smart phones which can be recommended. There are many more advanced options for distance vision and prisms and training techniques for visual field loss. The goal of low vision rehabilitation is to enable people with low vision to use their remaining vision to achieve the tasks which they want to perform in order to achieve as independent a lifestyle as possible. It includes the use of magnifying devices, special spectacles, training, environmental modifications, lighting, strategies, changes in the task itself or a combination of these to enable a person with low vision to continue to do the daily tasks he/she wants to undertake and maintain independence. Low vision rehabilitation has been proven to be effective, improving visual function, overall quality of life, maintaining independence and can even help lift depression. You don’t need to struggle alone with low vision. Help is available. Even if you are told that “nothing more can be done” about the eye disease itself, there is always something that can be done in low vision rehabilitation. Talk to one of our Kniaziew Optometry associates for more information.